RULE: When a “borrowed” language word is used, the final syllable will always be one of the -i- syllables from the 3rd column (e.g. suffixes of -Ꭲ, -Ꭹ, -Ꭿ, -Ꮅ, -Ꮋ, -Ꮒ, -Ꮘ, -Ꮟ, -Ꮧ, -Ꮨ, -Ꮯ, -Ꮵ, -Ꮻ, -Ᏹ ) of the Syllabary Chart as arranged by Worcester, and will always have a rising upward or high tonal sound/pitch. Adding the final suffix of "-Ꭲ" to a common noun such as the name of a color or a number indicates that the speaker wants the listener to understand this is not the generic name of the item but is a specific item in proximity to the speaker that s/he wants us to recognize. It also differentiates the name of a common noun to that of a proper noun, such as when a person is named "RED". For example, the color red is simply ᎩᎦᎨ, but to call a person RED would be to say ᎩᎦᎨᎢ. The same is true with numbers and many other common nouns. In the winter months, when temperatures plummet, we are reminded to care for our elders. But we shouldn't just check in on them when the weather is bad. We need to truly respect and honor them. The question rises from time to time: how do we do that correctly? Years ago, when I first began meeting regularly with a few elders for the purpose of practicing speaking, I was confounded by a such a quandary. The elder obviously was spending a great deal of time with me and helping me, but how could I repay them? They would not tell me what they would appreciate, but I knew that just giving groceries and gifts was not adequate reimbursement for their time. So I spoke with lots of folks and came up with a plan that the elders (seemed to) appreciate and that I could live with myself. I continued to give gifts of course, purchasing groceries and household supplies, items I knew they could use in their craft making, and even making gifts for them myself using my own skills. But I also checked around and found out what tutors and piano teachers were charging in our area. I took the high and the low charges and averaged them out. I kept track of the hours of direct contact the elder would spend with me. I then would put this in an envelope and would give it to the elder when I dropped off my usual gifts. Folks, this was a practical solution and I never had an elder turn this down. You can of course, offer those who are teaching you your language more than this, but I found this "rule of thumb" helpful in keeping me accountable and on track with my lessons. It was also something I could calculate into my household budget. You can also check your local newspaper and colleges and find out what tutors and music teachers charge in your community. Respecting your elders seems rather vague but putting it into this context helps to understand what is a fair and equitable way to care for those who are giving you this precious gift. Remember, this is a starting point; you should also give as much as you can to help your elder by sharing items where appropriate (in addition to giving money) such as firewood, groceries, yard work, household items, clothing and other ways of showing your love and gratitude. Don't just wait for your elder's birthday or Christmas either, but of course, you should also give something on those occasions. Our elders would never ask this from us, but they would have every right to demand it. If we truly want to honor our elders, we must be willing to do more than just say nice things about them and "thank you" without anything to back it up is just a nice sounding phrase to soothe our own conscience but it does nothing to help our elders, many of whom are on a very small fixed income. In grammar, a conjunction (abbreviated CONJ or CNJ) is a part of speech that connects words, sentences, phrases, or clauses found in the English [Yigilisi] language. This definition may overlap with that of other parts of speech, so what constitutes a "conjunction" must be defined for different languages. In general, a conjunction is an invariable grammatical particle, and it may or may not stand between the items in a conjunction. ᏙᎨ (prounced with hard "g" sound approaching "k"
NOTE: while some may use these differently, the 3 elders I discussed this with all affirmed that this is the more correct/ more precise way of using these conjunctions. I tore a muscle in my arm a few months ago and while its healing I have to rest it. I found someone to help me post this. Once I am better, I will post more often. 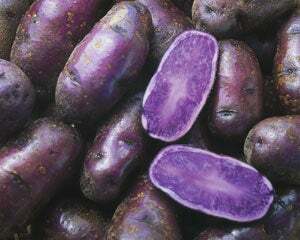 ᎤᏪᏘᎨᎢ purple colored plants means the item itself is saturated with that color- the stems, stalks, tubers and even the fruit. 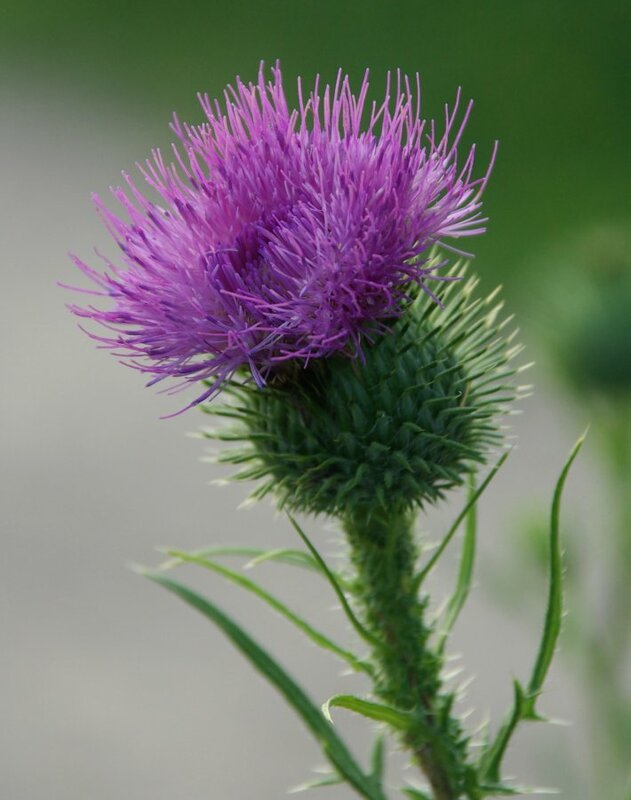 "The Cherokee did NOT eat the purple mushroom"
"Plants purple they are blooming"
"Scottish Thistle has a purple blossom"
"s/he used a purple onion in her/his cooking"
NOTE: ᏕᎷᎨᎢ is also used to describe bruises because they are transitory; ᎤᏪᏘᎨᎢ is used for age spots because they become permanent; this also has overtones/nuances of age, maturity and fruition.